We all long for healthy, shiny hair. But in our quest for that healthy hair, we may put our hair through a lot of manipulation. So much manipulation that we start causing more harm to hair than good. That we damage our hair so it looks the opposite of what we were striving for. Unfortunately no matter how many DIY hair treatments, hair masques, or serums you use there aren't ways to repair the damage. These treatments and products can sometimes help to temporarily cover up the damage to your hair. They may even help to prevent future damage, but products and treatments can't repair or fix hair when it's damaged. The best thing to do when your hair is damaged is let it grow out while using healthy hair practices so your new hair doesn't get damaged. The cuticle, the outer layer, is made up of flat scale-like cells of protein and is the first defense for the hair against heat styling, chemicals, manipulation, etc. When the cuticle is damaged, the scale-like cells tend to stay raised up and don't flatten. This leads to a constant loss of moisture in the hair and constant dryness. The raised cuticle cells also allow the middle/inside layer of the cortex to be damaged. The cortex is the part of the hair that dictates the strands thickness, color, curl pattern, and other attributes. Damage to the cortex can't be undone. 1. Direct heat from heat styling tools. By applying heat directly to the hair it cracks the hair cuticle and withdraws moisture. 3. Friction which comes from excessive styling, combing, or even unprotected hair rubbing against a cotton pillow. 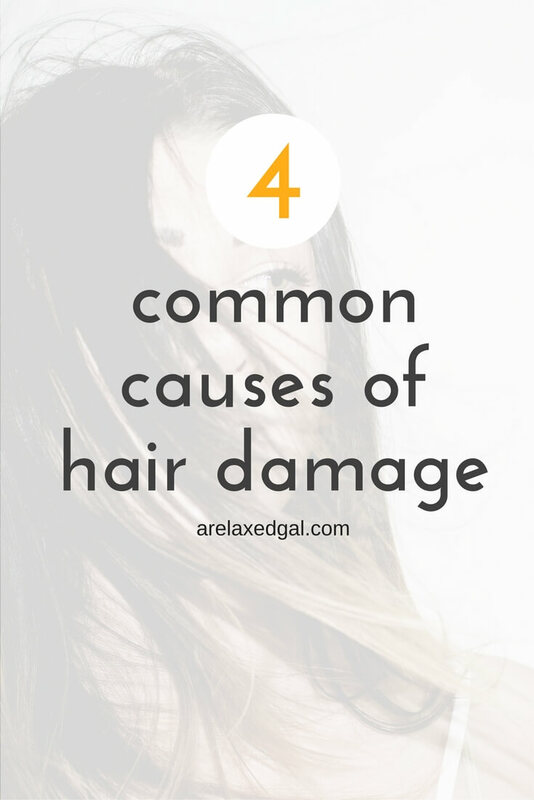 This constant rubbing movement of the hair strands is what causes the damage. 4. The elements such as the sun and wind. The sun can dry out the hair and the wind causes friction and tangles. Have you experienced hair damage? If so, what was the cause?